On Sunday, February 7, God’s people in Crafton Heights, along with the church throughout the world, considered the majesty and mystery of the Transfiguration of the Lord. Our scriptures included Mark 9:3-13 and II Corinthians 4:3-6. My hunch is that on most Sundays, you come to church without knowing what scripture will be the focus for our morning worship. I bet that usually when you get up and get dressed, you don’t know what I’m going to preach about. There are, however, some days in the life of the church when you know what you’re going to hear before you arrive at church. What are some of the days when you know what the Bible Story is going to be? Christmas, Easter, Pentecost – these are all days when you can more or less predict the narrative that will be the center of our worship, right? Why do we do that? Why do we tell the same stories over and over again? Is there anyone here who does not know about the Baby Jesus born in a barn? Is there anyone here who does not know about the empty tomb? Maybe one or two. But mostly, when our family of faith tells the same story again and again, it’s not so much because we’re wondering how the story turns out, but because the story reminds us who we are in the world. Today is one of those days…but I bet not everyone was aware of that. 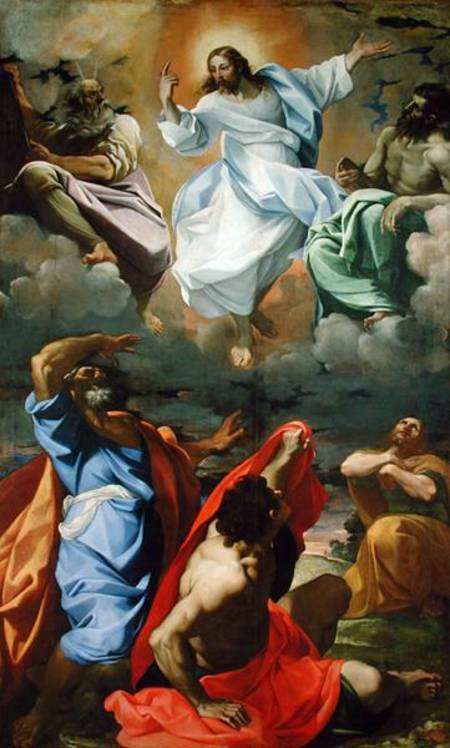 This is a festival day in the Christian church – a day called The Transfiguration of the Lord. From ancient times, the church of Jesus Christ has set aside a day on which to celebrate the fact that Jesus is the one who fulfills the Law given by Moses and the one who was dreamed of by prophets such as Elijah. This day, this last Sunday prior to Ash Wednesday, is appropriate because according to the Gospels, it is at this time that Jesus revealed the fact that his earthly journey would not end in earthly triumph, but in death. After the events described in today’s Gospel, Jesus’ attention shifts from his public ministry to preparing for his passion and death. When it’s all said and done, the disciples look up and see no one but Jesus. And on their way home from the retreat, Jesus says, “Look, don’t mention this to anyone until after I’ve been raised from the dead.” And the discussion continues on from there. It is a somewhat fantastic story, isn’t it? It is totally out of our experience, but Matthew, Mark, and Luke all have it in their gospels. When they got around to telling the story of the Jesus that they knew, all three of these men thought that this was a pivotal event in the life of Jesus as well as the disciples. Why? Well, there are several reasons, but this morning I’d like to consider two. First, the fact that Jesus appears with Moses and Elijah demonstrates that he is the completeness of the story. Moses was the first great leader of Israel. He represents the Law, the framework for living that was given by God. In Deuteronomy, Moses tells the people that “the Lord your God will raise up for you a prophet like me” – in other words, a teacher, a leader, one who will stand between the people and God in ways that not even Moses did. The presence of Moses on the mountain with Jesus indicates that Jesus is that prophet and that Jesus is the fulfillment of the Law. Jesus is the one to whom all of those rules and regulations pointed. Jesus of Nazareth is perfection, and Moses acknowledges him as such. And Elijah was widely thought of as the chief prophet in Judaism. His presence on the mountain is evidence that Jesus is the one to whom Elijah and all of his colleagues were pointing. There is no need for further prophecy concerning a savior, because here he is! So to Mark’s readers, the first item of significance is that Jesus is the completion of the Law and the Prophets. 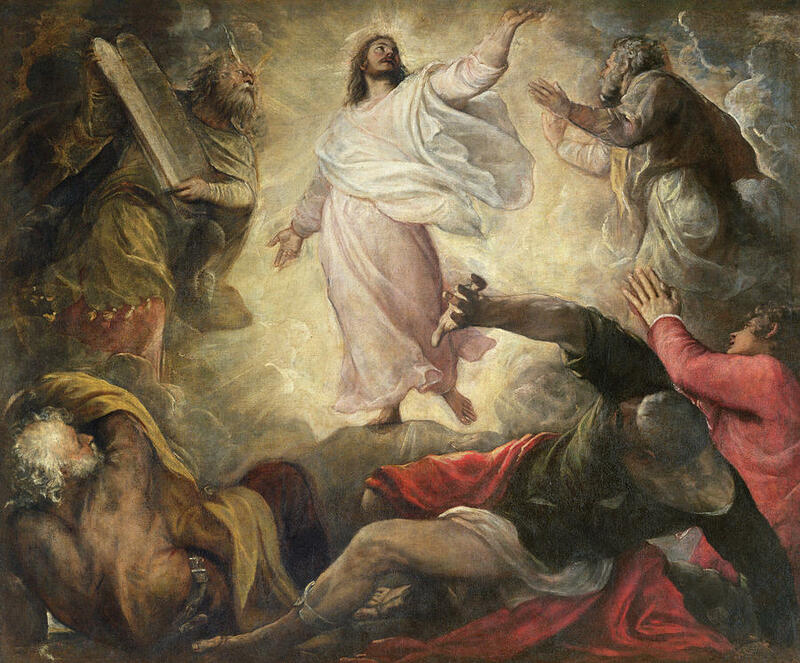 The transfiguration – the ways that Jesus’ very bodily appearance was changed, and accompanied by the two historical figures – is a demonstration that this is not a new idea, but rather, the ultimate stage in God’s purposes in saving his people. The second level of significance can be found in the additional phrase uttered by the heavenly voice. When Jesus was baptized, the voice thundered “You are my Son, whom I love; with you I am well-pleased.” My usual rule of thumb is that when you hear a voice from heaven, every syllable matters. So when this phrase is essentially repeated at the transfiguration – only directed to the disciples, rather than to Jesus himself, and then followed with “Listen to him!”, well, then, I think that it’s worth noting. Why? This is all very interesting, pastor, but why are we reading this story again? Why do we need to hear it time and time again, like the Easter or Christmas or Pentecost stories? In the story, who, or what, was transfigured? Jesus, right? Specifically, his Body. It changed. It was different. Jesus and the boys went up the mountain and right there in front of their eyes, Jesus’ body was transfigured. His everyday, walking to the temple, teaching the crowds, having lunch, playing tag with the kids, soon-to-be-hung-on-a-Roman-cross body – it was transfigured. It was re-defined by the power of God. The disciples saw that body change. Where is Jesus’ body now? That’s right. It’s here. You’re looking at it. The church – we are called time and time again the body of Christ. We are the ones who behold Christ at work in the world. We portray him. We indicate his activity. We are his hands and his feet, right? That’s what Paul was trying to help his friends in Corinth grasp – that God calls to the faithful and says, “I have changed you! I have called you! You are a light to the world.” Who is the light – Jesus? Yes, of course. The church? Yes – for we are the Body of Christ – we are the light of the Lord. The travelers looked at one another, and their leader said, “That’s impossible. Jesus lived and died a long time ago.” But the villagers persisted: “No! He was here! We’ve met him! And we love him!” And they went on to describe a missionary doctor who had visited that area many years before. He was loving, patient, and kind. He gave of his food to those who had none. He had instruments of healing. And he had told them of God’s love. You know what happened, don’t you? This particular village was not “unreached”. It had been reached by a man many years ago. But the residents of that village didn’t see a missionary doctor. They saw no one but Jesus. Beloved, who do people see when you walk into the room? Who do people see when you stand up to give a report, or when you pack lunches for your children in the morning, or when you kiss your wife goodnight? Who do people see when they ask you for assistance, or when they don’t ask you for the assistance that you know they need? You are the body of Christ. The reason that we tell and re-tell the story of the day that Jesus’ body was transfigured on the mountain is not that once upon a time Jesus took a temporary vacation from reality. No – it’s to remind us that we, too, are called to be transformed every day. 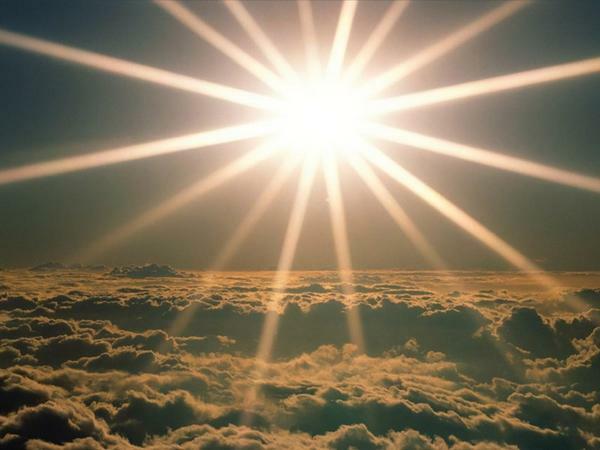 Just as the glory of God shone through the face of Jesus, so too can the power of God shine through your life and mine. Come Wednesday, we’ll begin the season of Lent. Please, please, please – join me in a season of prayer and reflection – and one of action – in which we will discover what it means to fully live as Jesus would have us live. Take advantage of the opportunities for growth that are offered to you this season. Fall in love with Jesus. Re-arrange your lives so that you have time for prayer and study and fasting and feasting. Learn what it means to be the body of Christ in this place and at this time. The reason we listen to this story is because we are bold enough to hope that one day, people will look at us, and at the things we do, and they won’t see Pastor Dave or Kati or Bill or Lauren. If we get it right, they’ll look at us, but they won’t see anyone but Jesus. 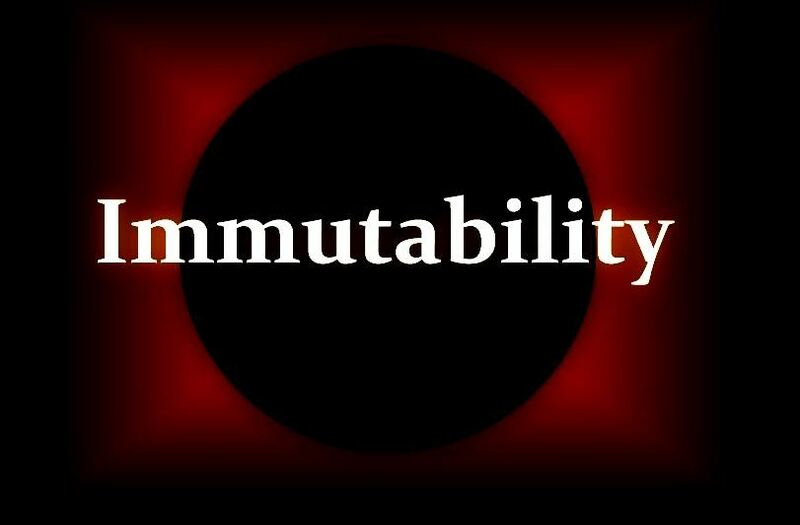 May it be so, Lord, may it be so. Amen. Douglas Hare, Interpretation Commentary on Matthew, p. 200. They had, literally, seen the light! But they were charged not to say anything about it until they knew the whole story… I’m sure it was frustrating to keep it a secret, but it must have been a relief to have such a demonstrable sign of Jesus’ divinity. A couple of years later, Paul is on his way to the town of Damascus. Maybe you know the story – he, too, saw the light. 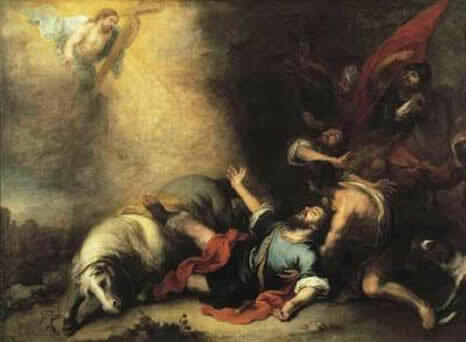 As he was riding, he was struck by a blinding flash that revealed to him that the same Jesus whom Paul was attacking was in fact the Lord of Life. This Jesus spoke to Paul from the midst of the glare and commissioned Paul for mission, ministry, and service. And Paul spent the rest of his life traipsing across the known world telling anyone who would listen about the ways that Jesus had come to be with and for God’s people. Like the first disciples, Paul knew. And like them, eventually, Paul told what he knew. And like them, his life was rearranged by a blinding flash of light – in an instant, he knew who he was and what he was to do. Beloved: have you ever been rejected by someone that you are trying to help? How badly does it hurt when you are trying to do something nice for someone and they turn to you with a sneer and say, “What are you doing here, anyway?” I can imagine what Paul was feeling as he heard those accusatory questions from the people he’d come to be with in Corinth. That’s an important point. It was not uncommon for citizens of the Roman Empire to greet each other during the first century by saying “Caesar is Lord”, and they were required to show up at shrines annually and burn a pinch of incense while making the same affirmation. So when Paul says, that Jesus is Lord, he’s saying that Caesar is not. And equally important to those who were Jewish, Paul’s statement that Jesus is Lord is his way of saying that Jesus is the Son of God. And Paul continues – because Jesus is Lord, then I am your slave for his sake. He could have simply said, “Jesus is Lord, and I am Jesus’ slave.” But that’s not what he writes to these people who are questioning his ministry, his motives, and his credentials. He says, “I am your slave for the sake of Jesus.” Instead of claiming his rights as a leader in the church, or pointing to the things that the Corinthians “owed” him, Paul simply refers to himself as their slave, for the sake of Christ. How can he do that? How can he look at these people who are disregarding and distrusting him and describe himself in that way? Because he’s seen the light. He can never, ever forget the day that his life was pierced by the light of Christ’s presence. Perhaps it was when you were caught having an affair, or the shame you felt when you raised your hand to your child. That was the light of Christ shining down in your life. It was illuminating a part of your world that had been dark, revealing the truth that you’d been hiding from others and perhaps yourself for a long time. Maybe it was the time he told you he loved you, or the birth of your child. Maybe it was the day you heard about that amazing scholarship, or saw that relative who had written you off for dead, or somehow felt accepted in spite of your brokenness. That, too is light – coming from outside of you and revealing truth by illuminating the reality of your life. You have seen the light – no less than the apostles did on the mount of transfiguration. I know you have. Today is Transfiguration Sunday – the day when the church remembers the time when Jesus’ face was set ablaze by the presence of the holy on top of the mountain. It reminds us of how Moses’ face was radiant following his conversations with the Lord. On the day of Transfiguration, the disciples were enveloped by the light that came from heaven and shone forth from Jesus. When Paul was converted, he was thrust to the ground by the force of that truth-revealing light in his own world. None of those men produced that light. They did not invent it or manufacture it or manipulate it. They simply stayed in it. They allowed it to change them. The light shone on them, and they stood in the light. If I’m right about your best day and your worst day, you know something about standing in the light, too. So let me ask you, what happens when you stand in the light? Do you soak it in? Or block it? Or reflect it? What happens when that truth of God shines into your life? Those questions bring me to the title for today’s message: Lime Wash, Refractured Lenses, Water, and Me. Lime wash is one of those things that everyone has seen, but that few people would recognize. Back in Tom Sawyer’s day we called it “whitewash”. It’s a wall covering, or paint, that’s made from slaked limestone and chalk. 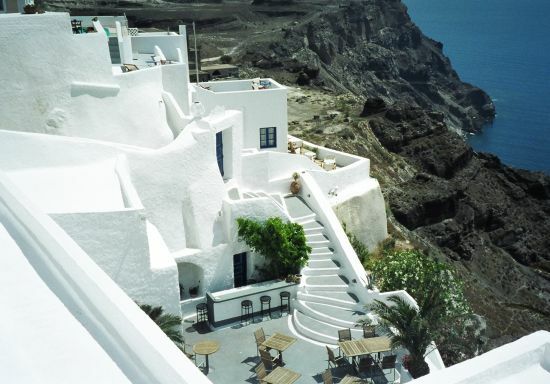 It’s been used for thousands of years, and I saw many examples of it when I traveled through Greece and Turkey. The limestone crystals have a way of intensifying the light and reflecting it back into the surrounding environment, which results in an appearance that can be shimmering and breathtaking. It is a brilliant use of simple technology to radically affect the outside surface of a building. Of course, such treatment of the outside of a building may have little or no relationship to what is going on inside. You will recall that Jesus reserved some harsh words for the professional religious people of his day, saying that they were like “whitewashed tombs”: they glimmered on the outside while they rotted on the inside. It’s possible for people to realize something of the love of God and accept it on the outside, but not allow it to get through to the core of their being. I bet that most of the people in this room know someone who is totally convinced of the fact that God has loved them…but is not in the least bit interested in allowing God to change any part of their lives. They soak up God’s love, but do not allow it to really affect their day to day lives. On the other hand, you have all seen commercials for Lasik eye surgery. 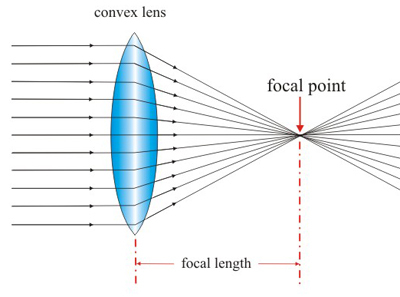 They are based on the reality that your eye, like all lenses, works by bending light – by refracting it – in such a way so that it produces clear images. The light passes through the lens and is reflected inward so that your optic nerve can use the data to produce the image that tells you that yes, indeed, that really is a beautiful woman standing over there. I am way out of my league when I talk about the science of refraction, but my point is simply this: that just as there are people who realize that God is love, grace, and forgiveness but don’t allow it to penetrate their own hearts, so there are those who are so enraptured by the Holy that they assume that the sole function of all the light in the universe is to penetrate their own hearts and lives. They soak up all the light and grace and joy that they can…and yet have a hard time reflecting into the world around them. But water! Well, water is an amazing thing. Because like Lime Wash, water is an excellent reflector. Some of the most amazing photographs you have ever seen exist because water allows the light to bounce right off it. 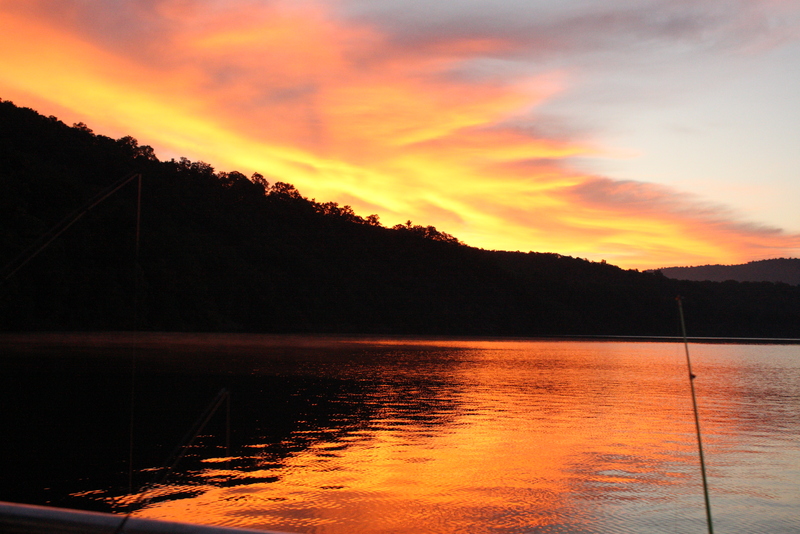 Depending on the angle of the light and the viewer, water can be very clear, and yet you cannot see into it at all because of the ways that the light is reflected. Yet you have also seen some incredibly beautiful images that are made possible because water permits light to enter it and illumine the world within. 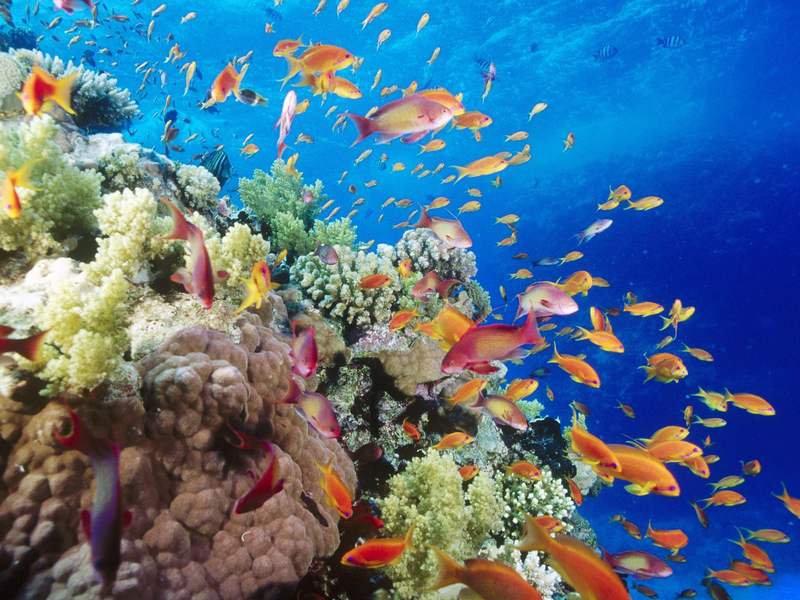 Biologists will tell you that life is possible on our planet because the relationship between light and water allows organisms to take in energy from the sun in an environment that will support their existence. Did you know that your body is about 60% water? What if somehow, you were able to allow the light of God’s presence and love to both reflect from you and enter deep within you? A few moments ago I suggested that the times when you were most profoundly aware of your own sin as well as the times when you were most profoundly aware of God’s blessing on your life were both instances of God’s light shining on you. What I really want to know is this: what if you were able to live in the deep awareness of the light of God penetrating your life – both your deepest sin and greatest brokenness and your ultimate joy and amazement at the undeserved grace that God has put in your life? What if you walked around every day convinced that you were terribly flawed, a great sinner in need of a great saving while every day being absolutely sure that you were receiving some unmerited favor, some great gift that you did not deserve but clearly enjoy? If you or I had the presence of mind to live like that, well, we’d be living like Paul. We’d be walking in the transfiguration every blessed day. Listen: if you are sure that you’ve been broken by sin, then how in the world will you judge your neighbor? And if you are convinced that God’s grace has been brought into your life, and that you are aware of the power of God’s life, light, and peace – how will you hold that in, and think it only applies to you? Oh, that the church might be full of those who, like Paul are so grateful for what they’ve received that they are sold out for others! That we might join him in saying that we proclaim Jesus Christ as Lord and ourselves as your slaves for his sake! My prayer for this day of Transfiguration is that God will reveal to each of us who we are, and where we are. That we will claim that identity and dwell in it. And that the love of God might flow freely in and through us in ways that allow our neighbors to see the grace and forgiveness of Christ, whom we love and serve by loving and serving those amongst whom he has placed us. Amen. 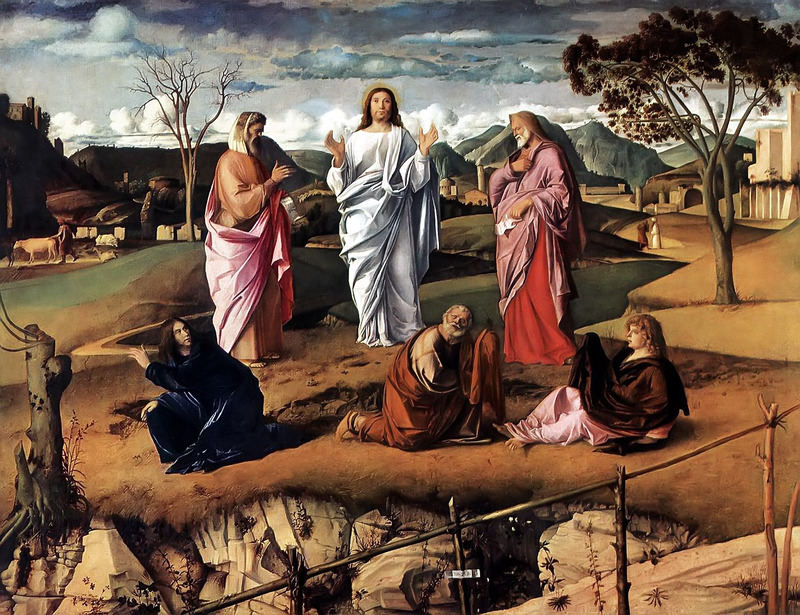 The Transfiguration of Christ, Giovanni Bellini, 1487.